Charlize Theron stars as ‘Charlotte Fields’ in LONG SHOT. Photo Credit: Philippe Bossé. Hello, and welcome to the new issue of The Hollywood Sentinel. We bring you each week, news you will not find anywhere else in the world of art, music, fashion, film, celebrity interviews, and more. More importantly, we report only the good news. There is enough toxic, negative, depressing news in the world by the mainstream media, that may end up making a person feel angry, sick, hopeless, lost, confused, and depressed. The purpose of life is to be happy, and productive–not to be miserable, and reactive to the bad news others propagate. Why should we add more toxic words or images to the already over-saturated, negative marketplace of information and ideas? And why should you let the media control how you feel? Never let anyone insult you for trying to be happy. You were not born to suffer. The Hollywood Sentinel serves as a place to celebrate some of the greatest human beings on the plant–artists, of all types. The entertainment industry–above all other professions; along with nature–makes life worth living. Fine Art, Literature, Theatre, Dance, Storytelling, Film, TV, and Fashion; all of these things are more are here and add to the power, beauty, and happiness of this planet thanks to the artists of the world. Join us here in viewing a glimpse into our world, and visit often. 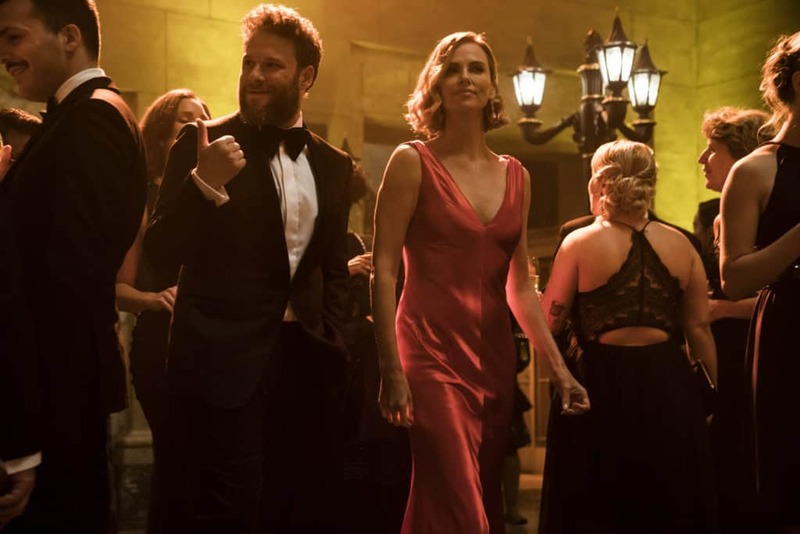 Fred Flarsky (Seth Rogen) and Charlotte Field (Charlize Theron) in LONG SHOT. Photo Credit: Philippe Bossé. Fred Flarsky (Seth Rogen) is a gifted and free-spirited journalist with an affinity for trouble. Charlotte Field (The lovely and talented Charlize Theron) is one of the most influential women in the world. Smart, sophisticated, and accomplished, she’s a powerhouse diplomat with a talent for almost anything. The two have nothing in common, except that she was his babysitter and childhood crush. When Fred unexpectedly reconnects with Charlotte, he charms her with his self-deprecating humor and his memories of her youthful idealism. As she prepares to make a run for the Presidency, Charlotte hires Fred as her speechwriter, much to the dismay of her trusted advisors. A fish out of water on Charlotte’s elite team, Fred is unprepared for her glamourous lifestyle in the limelight. However, sparks fly as their unmistakable chemistry leads to a round-the-world romance and a series of unexpected and dangerous incidents. From Summit and Lionsgate, and the celebrated team of Seth Rogen and Evan Goldberg; creators of comedy hits including THIS IS THE END and NEIGHBORS, LONG SHOT also features O’Shea Jackson Jr. (Den of Thieves, Straight Outta Compton), Andy Serkis (Black Panther, Planet of the Apes), June Diane Raphael (The Disaster Artist, Grace & Frankie), Ravi Patel (TV’s Master of None) and Alexander Skarsgård (TV’s Big Little Lies and The Legend of Tarzan). Directed by Jonathan Levine (Warm Bodies), Starring Seth Rogen, Charlize Theron, O’Shea Jackson Jr., Andy Serkis, June Diane Raphael, with Bob Odenkirk, and Alexander Skarsgård. Produced By Charlize Theron, A.J. Dix, Beth Kono, Evan Goldberg, Seth Rogen, and James Weaver. Comments or Questions? Call 310-226-7176. Your question or comment might be published live for the world to hear in our next issue. Where Is Your Manual For Life? Grammy Award Winner Dua Lipa. 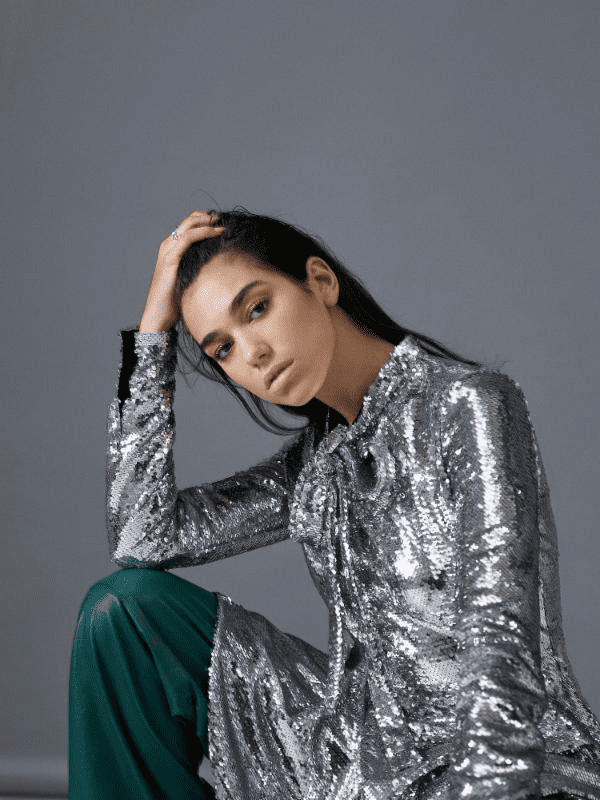 Image used with kind courtesy of the office of publicity of Dua Lipa. All rights reserved. Why are you here? You may have thought about that question before, and been asked it a few times, but I want you to really stop and think about it right now. If you knew for a fact, that the world was going to somehow end in just 48 hours, would you be satisfied with what you have accomplished? If not, then what is stopping you right now from doing the things you dream of? If you knew the world would end in just 90 days, what you do right now? Who would you see? Where would you go? What would matter most to you? If you would do and see these things and people with this awareness, what is stopping you from doing them right now? Today? No one ever guaranteed us a tomorrow. To live a full, satisfied, meaningful life, you have to seize the day. Make each moment count. Follow your dreams, and imagine that one day it will all be over. Because it will. At least in these bodies on this planet. Would you rather drift by in a life of mediocrity and mundane displeasure, spiritless, without passion, without hope or purpose of your highest dreams and goals, following the masses and having a safe and “comfortable career” to a fast or slow inevitable demise? Or would you rather wake up excited, on the edge, not sure perhaps of some things, but sure with every fragment of your soul that you are alive, that you are following your bliss, your spirit, the reason you want to be alive, with a burning desire, and fire that cannot go out–lest your life itself be no more? This passion, this purpose is the life of a true artist. And that art can apply to any field, in any academic area or even any skill of trade. It matters not what you do for you career, as long as you do it for yourself, because it makes you happy. To some, happiness is seen as a sign of guilt. Some shame those who are happy, or successful. Tell me; would you rather spend time with an angry man, or a happy one? There is nothing good about anger, or about selling one’s dreams short for the expectations of others. The more people on the planet pursued and achieved their dreams and goals, the less frustration, anger, hatred, hostility, and violence there would be. Figure out now, why are you here? What do you dream of? What is your top most dream to achieve in your life before you are gone? Next, find a way to achieve it. If you don’t know, start anyway, and learn as you go. Did you get a manual for life when you were born or reached a certain age? -We hope you enjoy the new issue, including our special on Alita: Battle Angel and Dua Lipa in our Backstage Hollywood and Music’s Greatest pages via the Table of Contents. Explore all our pages and be sure to check back soon for our unique coverage of the Academy Awards. ©2019, Bruce Edwin, all rights reserved. 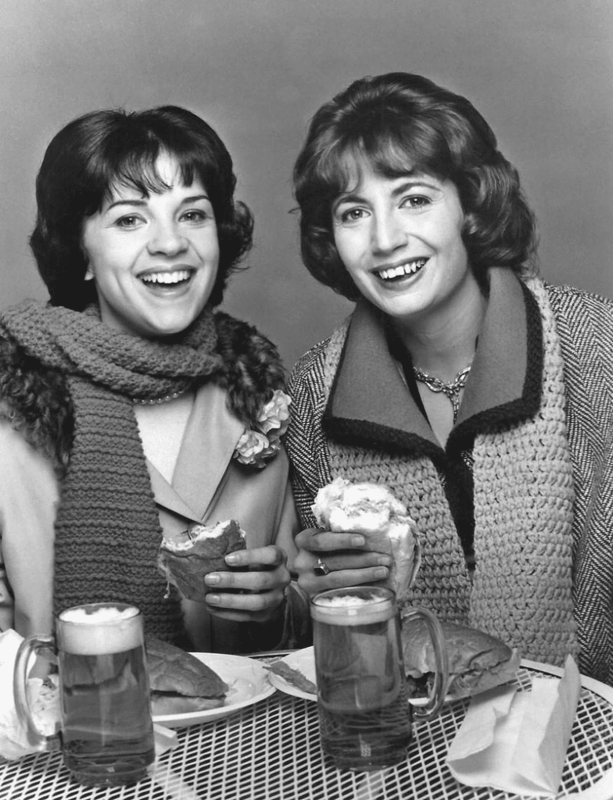 Penny Marshall (right) and Cindy Williams from the hit show Laverne and Shirley. Image: (c). 1976, 2018, ABC; Publicity still from American Broadcasting Corporation for January 27, 1976. Source: WikiCommons. An outstanding actress and comedian, Penny Marshall filled America’s hearts with love and laughter for decades starring and appearing on shows including; Happy Days, Mary Tyler Moore Show, Mork & Mindy, Paul Sand in Friends and Lovers, Saturday Night Live, The Jackie Gleason Show, The Bob Newhart Show, Frasier, Dinah! The Odd Couple, Laverne and Shirley, and many more. Penny Marshall later become one of the greatest producers and directors of our time, with films including; Cinderella Man, Riding in Cars with Boys, Bewitched, Jumpin’ Jack Flash, and many others. In 1988, Penny Marshall directed Tom Hanks in the motion picture “Big,” which went on to gross over 152 million dollars with a reported 18 million dollar budget, making her the first female director in the world to gross over 100 million dollars with a major motion picture. Just four years later in 1992, Penny Marshall directed Tom Hanks again in a film with an all female ensemble including her daughter; actress, writer, producer, and director Tracy Reiner, as well as Geena Davis, Madonna, Rosie O’Donnell, Lori Petty, Anne Cusak, Bitty Schram, Lynn Cartwright, Anne Ramsay, and more, in the hit film “A League of Their Own.” This film again broke the 100 million dollar barrier, became a cult classic, and went on to influence the world, leading the cause and serving as the empowering call to help champion the long overdue need for the formation of women’s baseball teams throughout the world. Born on October 15, 1943 in The Bronx, New York as Carole Penny Masciarelli; Penny Marshall married Michael Henry, and later actor, writer, director, producer, and political activist Rob Reiner. Her brother; writer, producer, director Gary Marshall, passed on in 2016. Known for her great sense of humor, hard work ethic, love of Hollywood and sports, and love of family and friends, Penny Marshall will forever be remembered as not only one of the greatest comic actresses, producers, and directors of our time, but also as one of the most groundbreaking female leaders on the planet. Penny was a woman who changed and shaped history, proving to young girls around the world that not only can they too dream, but that they achieve what it is out they set out to accomplish. Widely respected throughout Hollywood for her cultural achievements, Penny Marshall and her family have been responsible for some of the most memorable, iconic moments in filmmaking of all time. Positively impacting the world of sports, and women’s equality in all areas, Penny Marshall lit and carried the torch for women around the world to not only be funny–but to be brave, and to change history by making it. And make history Penny Marshall did. Today, her daughter Tracy Reiner–who were very close, carries on that legacy from her mother. In addition to heading her own feature film production company, Tracy Reiner serves as President of the historic Hollywood Women’s Club. Penny Marshall is also survived by her sister; actress Ronny Hallin, and five grandchildren. As the first female producer and director on the planet to break the 100 million mark with “Big,” Penny brought laughter and tears to audiences around the world. With her role as Laverne DeFazio in the legendary TV sitcom Laverne & Shirley,” Penny gave a face to the woman next door, and an example for women to stand up, and stand strong. And with her trailblazing, iconic film “A League of Their Own,” Penny Marshall helped make what was once a man’s world and a man’s business of movie-making and baseball, a little more female. She will forever be remembered. This content is ©2018, Hollywood Sentinel dot com, all world rights reserved.